In many Southeast Asian countries being a vegetarian limits you to a boring diet of fried rice with veggies. This couldn’t be further from the case in Singapore. So simple, but so good. As many Hindus are vegetarians, the easiest place to go for a meatless meal is Little India. 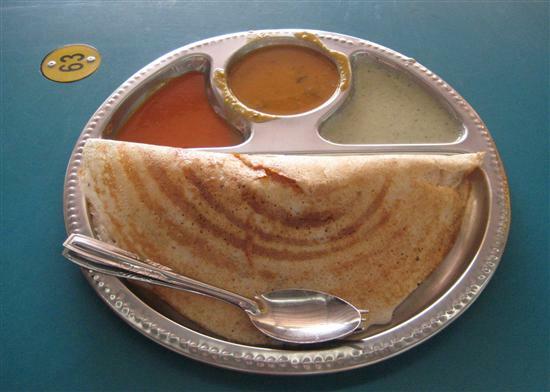 Modest restaurants along Serangoon Road, particularly around the temples, have big signs reading “Pure Veg” and serve up dosa masala (lentil crepe stuffed with curried veggies), bhatura (fluffy bread) with chickpea curry, and thali platters at bargain prices. If you like spice it’s hard to make a wrong choice, but long-running favourites are Suriya Restaurant and Komala Vilas. One of Singapore’s best vegetarian Indian restaurants oddly isn’t in Little India at all, but near Clarke Quay in the Central Square complex. Annalakshi serves rich North Indian dishes like paneer tikka malasa (cheese curry) and aloo gobi (potatoes and cauliflower) plus South Indian staples like dosa and vadai (savoury donuts) with spicy chutneys. Adding to the good karma from the no-animals-harmed meals, the restaurant has a “pay as you like” system, with all profits going to charity. The weekend buffets are very popular and reservations are a must. Located in the Bugis area, Fortune Centre is a whole complex filled with vegetarian restaurants offering everything from homemade bean curd to avocado sushi rolls. For vegetarian visitors the real attraction is the opportunity to try meat-free versions of classic Singaporean hawker dishes like laksa (spicy coconut noodle soup) and char kway teow (fried noodles). At the Pine Tree Café on the second floor it’s even possible to get mock kway chap (pig intestines). Another cluster of Chinese vegetarian restaurants is located near the Buddha Tooth Relic Temple in Chinatown. 8 Treasures Restaurant does mock-meat versions of famous Chinese dishes like Peking duck and sharkfin soup (the only time I’d ever recommend trying this cruel and unsustainable dish). 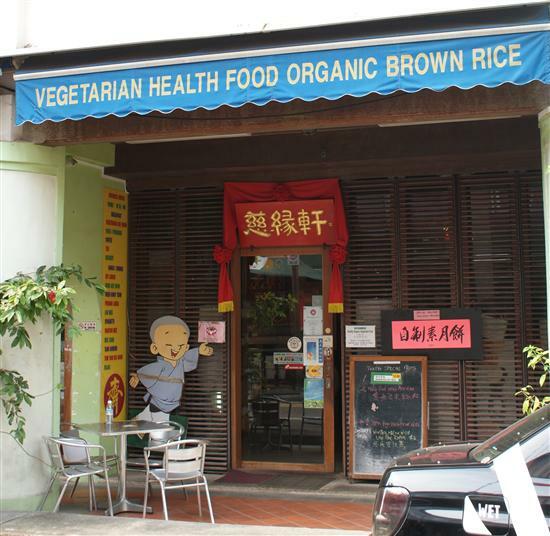 Ci Yan Vegetarian Health Food has a changing menu of wholesome organic food that won’t break the bank – expect to pay about S$5 for a big portion of steamed veggies and brown rice. They also serve pure fruit juices and healthy baked goods for dessert. Good Peranakan food (a unique fusion of Chinese and Malay flavours) is hard enough to find that you might assume vegetarian Peranakan cuisine is impossible – you’d be wrong. Whole Earth cooks up mushroom rendang, sambal eggplant, and assam pedas (a sour and spicy soup) that are so flavourful you won’t miss the meat. They also do vegetarian Thai dishes like tom yam soup. 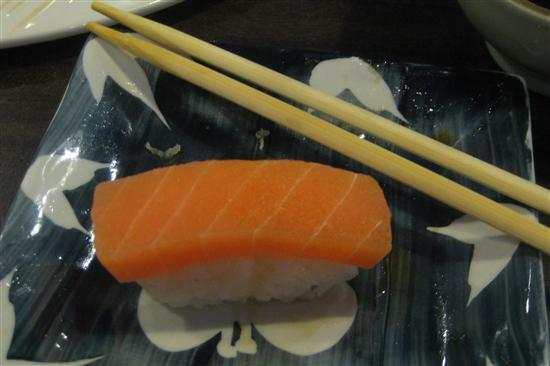 Japanese food is practically defined by its use of fresh fish and at Zen Vegetarian Restaurant sashimi is still on the menu – it’s just made from gelatin jelly. It looks beautiful but is completely tasteless, though a dip in wasabi immediately changes that. Other faux-meat dishes like the unagi (eel) and katsu (breaded pork cutlet) taste closer to the real thing. For vegetarian sushi on a budget hit the take-away counter at Isetan Supermarket on Orchard Road for cucumber or avocado rolls from S$2 apiece. No fish were harmed in the making of this sushi. Original Sin is Singapore’s poshest vegetarian restaurant and serves fresh, flavourful Mediterranean fare. Their signature moussaka is proof you can get very, very full eating just vegetables and their pizzas are piled high with artichokes, bocconcini, roasted peppers and cheese. Like many expensive restaurants in Singapore, Original Sin offers a three-course set lunch at a more reasonable price. Getting back to budget eats, Café Salivation is a newcomer to the vegetarian dining scene and tackles everything from bean quesadillas to soya lasagna. Perhaps owing to its location in Little India, there are some fusion creations like paneer pizza and chutney sandwiches. Adding to the appeal, the service is friendly, the décor is cute, and it’s hard to spend more than S$10 before adding dessert – their yummy baked goods are made without eggs. Rabbit food can be “droolicious”. Mescluns specialises in leafy green salads with loads of toppings at fast-food prices. It’s not exclusively vegetarian, but the salad-bar setup allows you to choose the ingredients you want (mushrooms, chickpeas, avocado, cherry tomatoes, almonds) and avoid those you don’t. If salad alone won’t fill you up a few of the homemade soups are also vegetarian. Vegan Burg, Singapore’s first pure veg burger joint, has popped up in the eastern part of the city. Their soy patties are jazzed up with homemade sauces and fresh toppings like grilled pineapple and crispy onion rings. They also do tofu-dogs. However, you don’t need to go all the way to Eunos MRT for a veggie burger – Brewerkz at Clarke Quay offers thick falafel burgers and Botak Jones Burger Stalls have mushroom-soy protein patties.